imAndystorm.com. Singapore Lifestyle. Travel. Food. : Traveling to Japan with KKday, your global holiday expert! Traveling to Japan with KKday, your global holiday expert! Planning a holiday is never easy. From sourcing affordable air tickets, to deciding which hotel/ airBnB to stay, down to narrowing the places to visit etc and all these planning can take months. The easiest way out of having to plan would be to book a tour package where you just pay a fixed price and get everything settled for you, down to the details. All you have to do is just be at the airport at the stated day and time with your luggage and off you go to another holiday. But the thing is, joining a tour group probably means you have to wake up at ridiculous timings, endure different kinds of people in the group (don’t get me started. I’ve heard so many horror stories, lol), get little “me” time to explore the places you really want to spend more time at but couldn’t because everyone have to follow a fixed schedule and worse, visit places you have no interest in. Simply waste of time. KKday is a global holiday expert and they provide the best tours, experience and tickets. They provides all kinds of unique experiences from Scuba diving, rock climbing, cooking classes, secret sights, full day tour, tickets, charter service and the list goes on and on. Not for 1 or 2 countries, but more than 53 countries and 170 cities! If you think of an attraction in a particular country, they probably have it listed on their site. What i really enjoyed about using KKday (which i shared in my taiwan travelogue before) is the CONVENIENCE. Not needing to queue up at the attraction to purchase tickets (keyword: waste time) and being able to touch down and collect what i need at the airport without scrambling here and there is a major plus point when it comes to traveling. All you have to do is purchase your experience/ tickets from KKday’s website beforehand, follow the voucher instructions upon landing at my destination and you are all good! 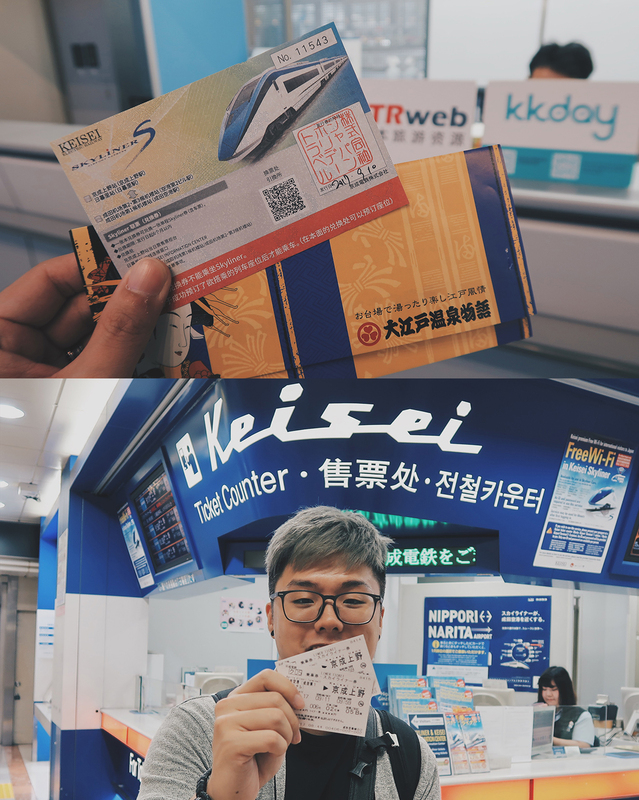 Before flying off to Japan, i got 6 experiences and tickets from KKday. Some of them are even cheaper than purchasing over the attraction counter! Save time, save money. Approve. Ooedo-Onsen Monogatari is a hot spring “theme park” where you get to spend time there chilling, eating, resting and of course, soak yourself in different hot springs. You first choose your traditional yukata design, change and walk around the halls with your dedicated bracelet where all purchases will be recorded so you don’t have to bring cash around. Play games, have a meal or some snacks and at any point of time you want, you can just head to the onsen, change out and dipped yourself in different temperature hot springs. Really nice and relaxing place to spend your afternoon or even at night after a hectic day. I will definitely share more on Ooedo-Onsen on my Japan travelogue! This 2 places needs no introduction, also known as the most magical place on earth - Disneyland and DisneySea! Bought the 2 day pass since i’ll be visiting both anyway. DisneySea is like exclusively Japan and it was so amazing!!! I was really impressed on the whole brilliant time pass system. It’s not like USJ where the more money you spent, the lesser you have to queue. In Disneyland/Sea, you either queue patiently or diligently get your time pass every 2 hours. Bought my tickets on KKday, skipped the queue and went straight to the gate, scanned the QR code and i’m in! Hassle free. I have read SO MUCH about USJ before flying to Japan. Like how you need to plan a strategy to conquer the entire park and make full use of your time there. Like be there 1.5 hours before opening (i read that they open at random timings, even before the stated hours) then run for your lives to get a timed ticket to enter the Harry Potter world if not you might never get to go in and things like that AND this is why i decided to get an express pass. The lowest tier for just 4 attractions cost about the same as your entry *insert roll eyes emoji* I reached early, and made full use of my time and express pass. Standby for one whole blog post on USJ, lol. Like what i mentioned earlier, KKday is about tours, experience and tickets so you can also purchase sim card, wifi router rentals, metro tickets beforehand and collect them at the stated collection point. If you fly to Tokyo, you either land at Narita airport or Haneda airport, and from these airport, you have to find a way to downtown Tokyo. Either by airport limousines (bus), car or Shinkansen. I opt for the KEISEI skyline which brings me from Narita airport to Tokyo in just 36 mins, definitely one of the faster and more comfortable. There are 2 main towers in Tokyo you can visit - mainly Tokyo Skytree or Tokyo Tower. 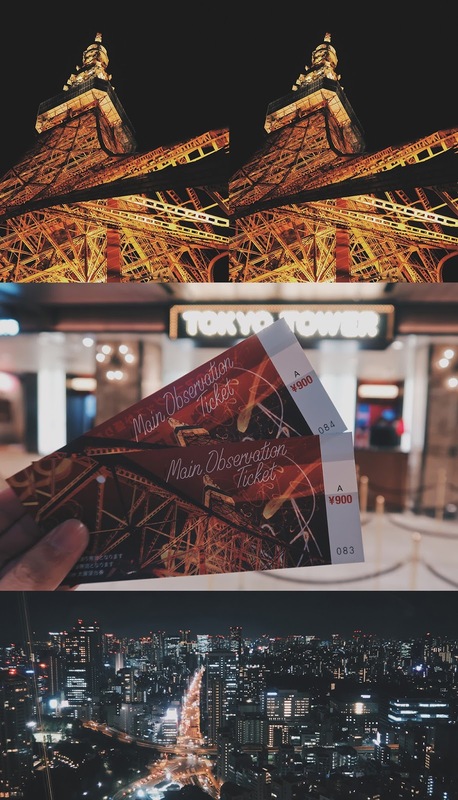 I opt for the Tokyo tower because it’s cheaper and more iconic. Purchased the tickets from Kkday, printed out the voucher and exchanged it for entry to the tower. No collection of vouchers needed. Would you prefer the day view or night view? Do note that the tower is undergoing renovation/ restoration works so one side of the tower might not be available. Check their website for more information. 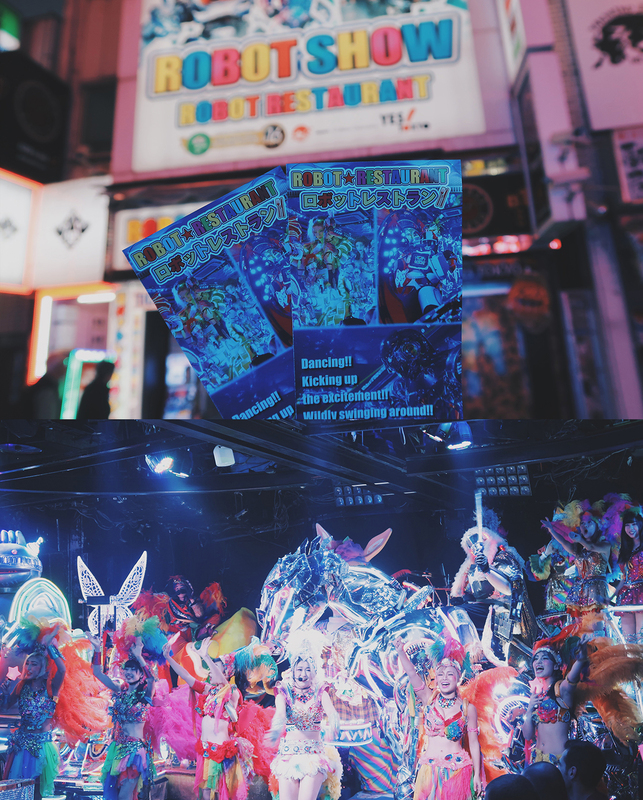 Honestly speaking, Robot Restaurant Cabaret show has never crossed my mind when it comes to planning my Japan itinerary. I guess this is what KKday deem as “experience”. Saw this amongst the list of recommended attractions in Tokyo and also read online that it’s a MUST WATCH for first timers to Tokyo so i thought why not give it try. Tickets are a little pricey, but after i came out from the restaurant, i was like, IT’S SO WORTH IT. The action is literally in your face, there is music, dance, pyrotechnics, and decorated floats and huge robots throughout the 1.5 hours show. The atmosphere was so high and everyone was enjoying themselves. It’s difficult to put it into words, you have to be there to know how good it is. That’s 6 different attractions, experiences and tickets that i got from KKday. That’s just 6 of the many experiences in Japan. There are so many destinations such as Korea, Bangkok, Taiwan, Paris, London and the list goes on and on. 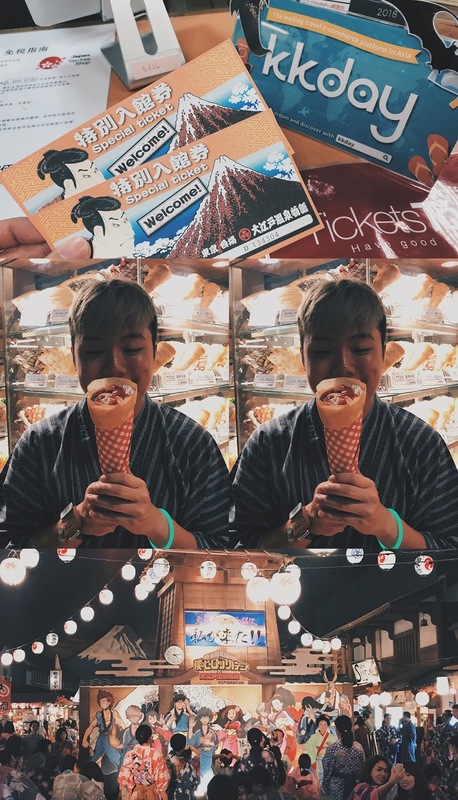 Even if you are not traveling, you can also checkout the Singapore attractions and you will be surprised at the discounted prices and advanced ticket purchase to our Zoo, Adventure Cove, USS and even entry to MBS Sky park! Hope this post will “enlighten” and aid you in your upcoming travel planning!